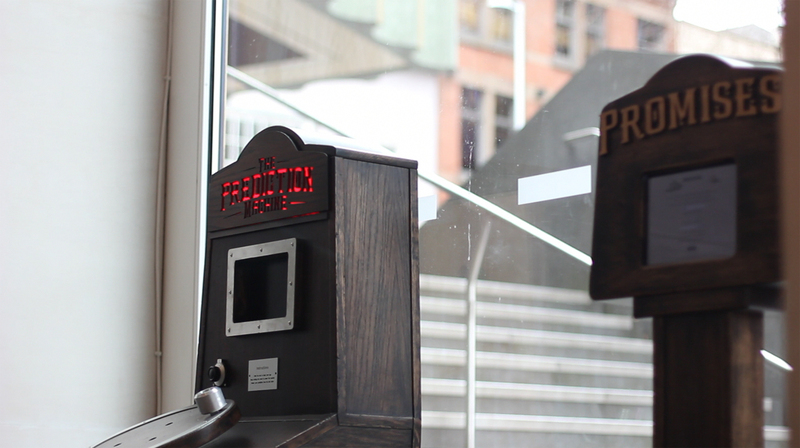 Next exhibition is at the University of Nottingham’s Mayfest – a free open day and science festival. The exhibition at Nottingham Contemporary is now over after an exciting couple of weeks, showing alongside of the wonderful and enlightening Rights of Nature exhibition and in my home town of Nottingham. 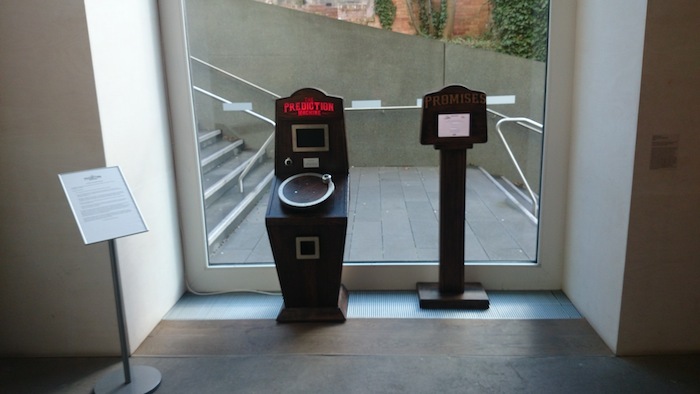 Approximately 400 people interacted directly with The Prediction Machine during the exhibition, cranking the machine and getting their predictions printed out. 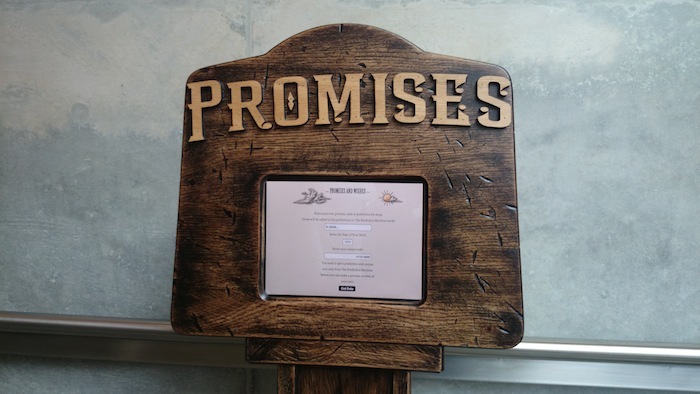 We also received just under 100 promises and wishes from the new ‘Promises and Wishes Machine’ which ranged from funny, sad, hopeful and apocalyptic. The next steps for the project is to start an analysis of the interviews, observations and interactions with the machines as part of the Performing Data research. Negotiations are also taking place for future exhibitions, building a new phase of the project that focuses on longer term engagement with communities, hopefully in rural and coastal regions of the UK.